I did it! 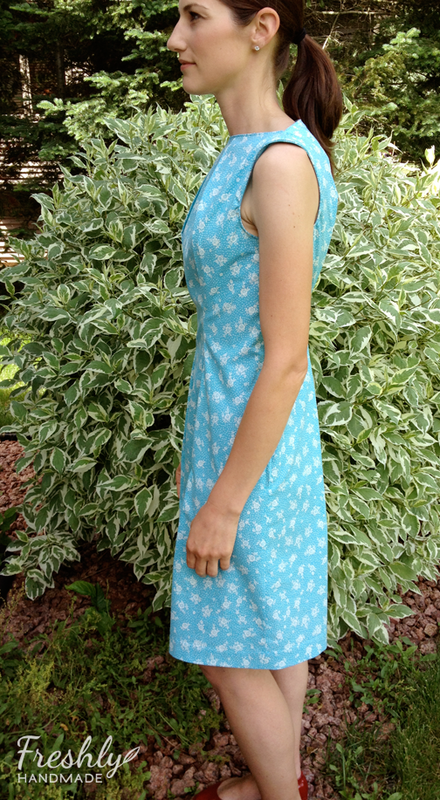 I sewed my first dress using an actually pattern. Garment sewing has just not been something I've been comfortable doing, but with step-by-step video instruction, I was able to conquer some of my fears. 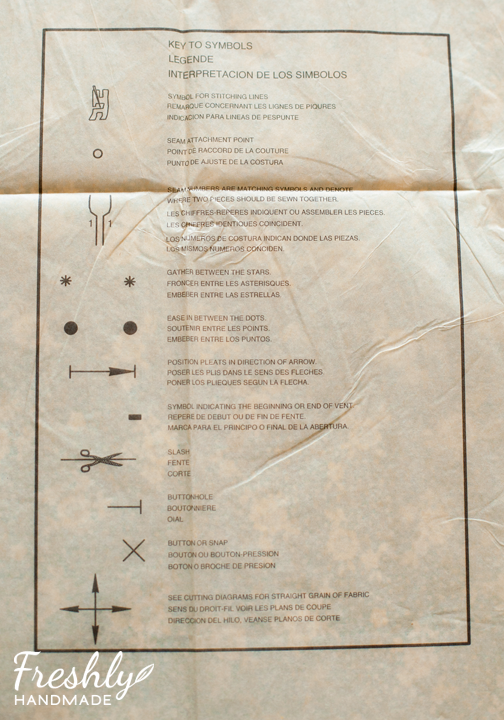 And though my course was basic, I learned quite a bit about sizing, how to cut out my pattern pieces, garment sewing lingo (darts vs. pleats), and what all those symbols mean. My journey started with these materials (Read my previous post here). 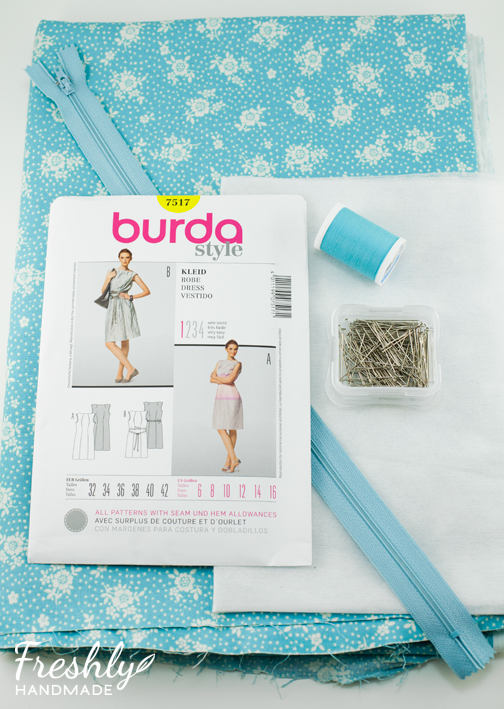 Burda pattern 7517, cotton fabric in a blue and white floral print, lightweight interfacing, thread, dress pins and a zipper. Funny thing is the zipper didn't intimidate me at all. 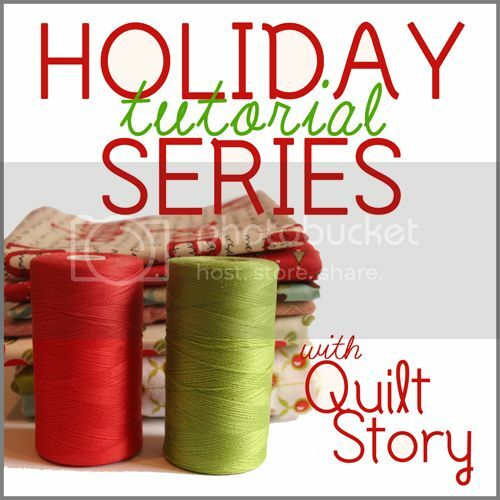 I sew with them all the time. Ok, so let me clarify a few things. I love the the classic, vintage style. I love that it actually fits me. I love the fabric (duh). The thing is, it has pleats on the top half and bottom half on both the front and the back. If I am not standing in the exact perfect position so that the pleats lay nicely, it doesn't look that good. I pressed those pleats down as much as I could, but I still found myself constantly adjusting them. Who wants to do that the whole time you're wearing it? 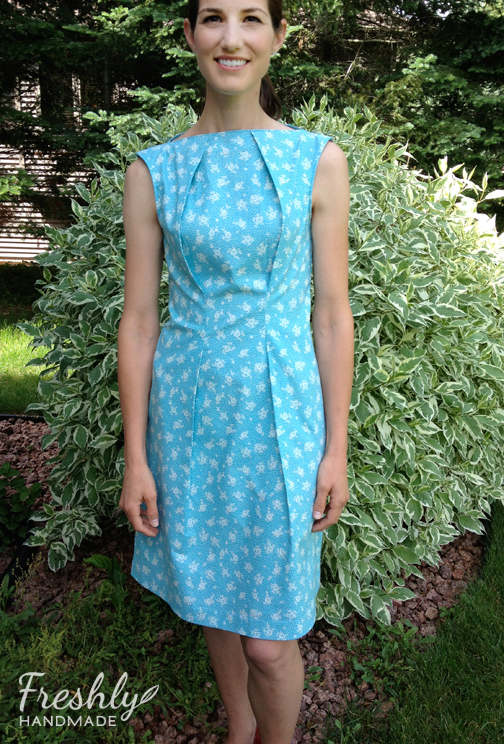 So, I'm still undecided on whether to keep it as a dress or cut it up and use the fabric for quilting (oh, the shame). I'm really okay with the latter because I have to like my clothes in order for me to not only keep them, but wear them. I might wear it once to say I did and to see if I spend most of the time in it adjusting myself. P.S. 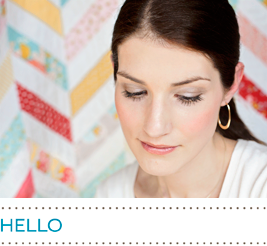 I've linked up to Amanda Jean at Crazy Mom Quilts for Finish It Up Friday. I think you have a great figure and this dress shows it off nicely, but if you are not comfortable all is lost........ At least it can be recycled right? The dress looks fabulous on you!